This emulator allows you to play most of the GameBoy Advance games on your latest Symbian phone. It is designed specifically for touchscreen input. There are three versions of this emulator available - for Belle (also FP2), for Anna and for S60v5 (like 5800 XM). 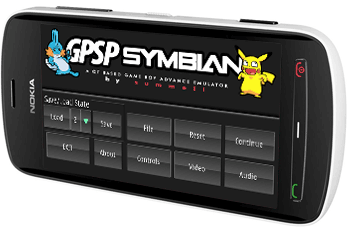 The gpSP is a GameBoy Advance emulator originally written by Exophase. And now it is ported to the Symbian OS by Summeli. Just download or transfer to your phone and install. You will also need a gba bios file (.bin) and, of course, gba roms - use google. Transfer to your phone and load them via the emulator (bios file first). 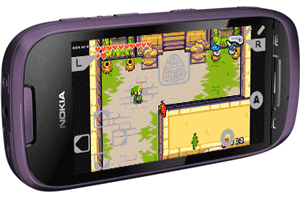 how to use gpsp in nokia 5800xp?.please tell me in details(step by step).because i download the biosfile and a .gba tipe game(pokemon emerld) and i also load the rom and the biosfile but the game is not open.the gpsp showing ''game boy''(nintindo).don't avoid my comment & thank in advanced. is there an emulator that runs on nokia c3? Why my nokia x6 cant download this emulator... Please reply my comment at my email.. Admin? why while installing gpsp v0.7 in c5-05 its always shows installing failed and even can i play pokemon emerald in gpsp v0.6.5?